I’m at the point where I’m sick of scandals. Yeah, they’re pretty interesting and add a lot of gossip to the idol world, but it’s at the point where it’s been ridiculous. My personal theory as to why so many scandals have been popping up in the recent months is just because AKB girls have had so many years on top that stress is at an all time high for many of the girls, which leads to them wanting either an easy out or some semblance of normality. That, and it pays the bills of the Shukan Bunshun staff. If you follow AKB48 news at all, you’ve likely seen that Minegishi Minami was recently photographed after spending the night at a presumed boyfriend’s house, and has since been demoted to kenkyuusei and shaved her head. From what I’ve seen, this has lead many people to wonder about the severity of this assumed punishment. Which is an interesting question, really. If at this point we’re assuming that the dating rule is here to stay, there are really a few things that could happen. 3. The girl has to leave the 48 family. (i.e. 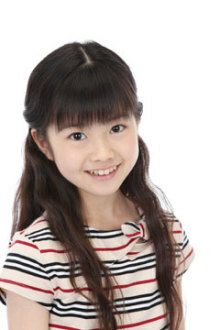 Masuda Yuka, HKT48 members). There seem to be a lot of factors on why different punishments happen. The first is really the “severity,” or rather publicity. The NMB48 girls who were a part of scandal pretty much completely recovered, because there was zero photographic evidence, which wasn’t really the case with most of these other publicized scandals. They all got a bit of punishment, but have left it mostly unscathed. Another big factor (possibly the biggest?) is the popularity of the girl. Losing a bunch of unknown HKT48 girls could be seen as not a big loss, in the grand scheme of things, to the 48 groups. Oshima Yuko, though, would be a huge blow to popularity of the group, being the current most popular member, so not acknowledging the photos with guys is a plus. However, the one factor I don’t think gets enough credit, personally, is the personal choice of the girls. One of my slightly controversial opinions has been that Masuda Yuka left the group on her own volition, because she was already one foot out the door with AKB48 (she even skipped the Tokyo Dome concert to focus on her own solo work). With Miichan’s scandal, when I saw that her head was shaved it seemed almost clear that this was her own doing, as was possibly the video. Perhaps this is a big reason that punishments vary so much over the various girls. At this point I wish that, if we still have to have a dating rule, that there would be consistency. However, considering all the variables, it seems near impossible. In any case, I’m sad to see Miichan leave the incredible Team B for the kenkyuusei. 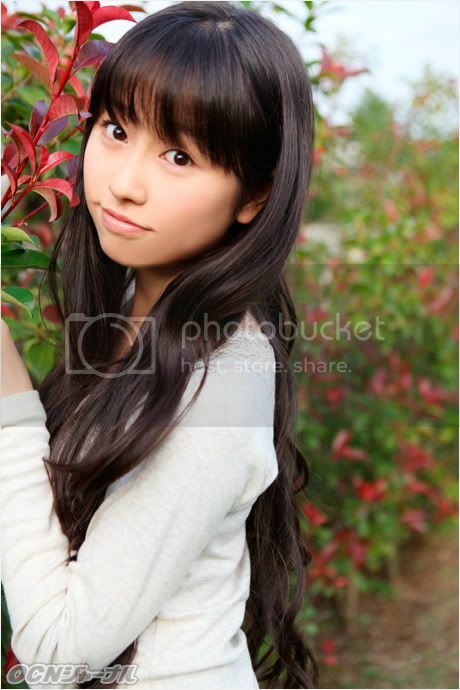 Being one of the original AKB48 members, she’s a very valuable member to the makeup of the group. However, that being said, I can really see her bouncing back quickly and returning to her team in no time. I like a lot of idols, and follow a lot of groups out there. However, some groups just don’t appeal to me very much for various reasons. The members might not click for me, I might not like the style of the group, or I might not like the management. However, despite this, I find that some of my favorite songs come from groups I don’t follow (hence why I will eventually get started on that review project I keep putting off.) In a weird way this almost makes these songs more special, and will occasionally drive my interest in the group (this was originally the case with Nogizaka46 and Hashire Bicycle, but I’ve since become more of a fan of that group in question). So here’s a list of songs that have become some of my favorites without being one of my favorite groups; note that if I list a group/artist you like, please don’t think I have anything against said artist, but just that they haven’t clicked with me. Don’t Think, Feel! – Idoling!!! I’ve liked Idoling!!! songs in the past; I really like Me ni wa Aoba Yama Hototogisu Hatsukoi and S.O.W. Sense of Wonder. However, Don’t Think, Feel really stands out to me. It has a kind of unique sound with some vocals that at least sound more mature than your average idol vocal, and the whole group sounds really great together. Other than that, though, it’s hard to explain why I love this as much as I do. It’s the right level of upbeat that tends to make me like a song, but it doesn’t have some of the other things that make me really like a song. Still, this is a ridiculously catchy fun song that is one of my favorites. If you’ve seen my top songs of 2012 list you know that I loved Hatsukoi Cider to an almost ridiculous degree, despite generally not being a big fan of Buono! I don’t really fan over any of the girls in the groups, most of their stuff is just not my taste in idol music. However, Hatsukoi Cider was one of my favorite things to come out of 2012 because it was just a really good song, and beat the odds of coming from Buono (if you want a more detailed explanation, see my top 25 list). There’s a pseudo joke one of my friends and I have about this song, in that we go “oh, Konna Watashi time” and basically marathon the song. I like Kikkawa You just fine, but this song alone made me briefly consider saving my money to go fly to see Yuu in concert. That didn’t happen because I’m not nearly a big enough fan of hers. But seriously, this was one of my favorite songs of 2011 (if I had ranked 2011, this would absolutely be in my top 5). The way the whole song fits together, from Kikka’s main vocals to the harmonies, to the various instrumentation, is perfect. The song keeps up a great pace, and builds up perfectly, especially in the section before the last chorus (“kimi no yaeba mo, etc.”). Also, not talking about it really now, but this is seriously one of my favorite PVs of the year as well. Not Yet’s one of the AKB groups where I like all the members, but none of them are even close to favorite status (probably my highest ranking girl here would be Yokoyama Yui). Most of their other songs I like, but don’t love. This is possibly one of my favorite idol songs EVER. And I have no idea why. I only really discovered when it was performed in a shuffle at a concert featuring one of my 48 group oshimen, Oota Aika. And I was hooked. I think some of my friends got sick of just how obsessed I got with Pera Pera Perao. And even still, I have trouble quantifying or explaining just what I hear in the song. I think this is a situation where the sum’s greater than its parts, because everything about Pera Pera Perao just works for me. Also, I completely kill at this song at karaoke, so there’s that. I have issues with Super Girls. The girls themselves seem fine, but I’m not super fond of certain things doing with the management and Puri Puri Summer Kiss bugs me in many many ways. But man, MAX Otome Gokoro was pretty much on repeat all of summer 2011 for me. It’s just a good/fun song, full of energy, and is a perfect song for the summer. Hey; moving my album reviews for Monday, so I can have weekends to work on them. One of the things that I’ve been thinking a lot is how fortunate I really am to be an idol fan. Earlier today was listening to the two Nerdist podcasts featuring Gabe Newell of the video company Valve (which has made a lot of really high quality games, including the incredible Half-Life 2 of which I’m a big fan). One of the big questions brought up was that since there’s more and more content being provided, how there’s less of a sense of community. Gabe mentioned something that now, with the internet, there’s a lot more ways to find community, and I really took that to heart with idols. The fact is, without Youtube and other content providers, I wouldn’t be a fan of idols. And before the internet, you almost had to live in Japan, visit Japan or know someone who liked Japanese music. It was a lot more difficult to find content that you like, and now music is more international. I mean, sure it happened before (see: British Invasion), but I’m grateful for the internet. I also really connected to the idea of finding a community online, because I don’t know anyone offline that likes the music that I do (at least the Japanese music), but now I’m connected to people through Happy Disco, Facebook and other sites. Hell, the MomoClo Facebook book I co-admin has been a really great resource for both Japanese and foreign fans to meet up and talk. Twitter too; while I get that AKB has their deal with G+, but twitter is really a great tool for companies. Certain idol companies also do it better than others. I think one of the things that makes Hello!Project so popular with international fans is that they have worked with international fans in the past; I can buy new H!P tracks off iTunes, they used to have Hello!Store USA (which I spent a bit too much money on), and they have done a fairly good job of appealing to international fans. This wasn’t always the case; I remember distinctly when Takahashi Ai (or someone) said that Morning Musume members didn’t blog, and they sure realized that that reluctance was a bad idea. BABYMETAL has actually done, IMO, the best job of it, with an official Facebook page that updates in English, an official merchandise store and all their stuff on iTunes. Slowly it’s becoming more and more possible for international fans to enjoy things, which also makes it more frustrating that other things aren’t international. I absolutely hate when a YouTube channel is region-locked, or the fact that I can’t spend money on things like AKB48 LODs; it’s understandable that not every place will ship internationally, but it’s when things are region locked that I think that some companies don’t get it. I’m not sure where I’m going with this, other than the fact that without the internet international idol fans wouldn’t be where we are, and that I can see things only getting better/easier for us from here. Hey everyone; now that I’m finally done with my top songs of 2012 list, I’m going to just do a quick check in. Lots has happened since I started my blog February 2010 (nearly 3 years ago! 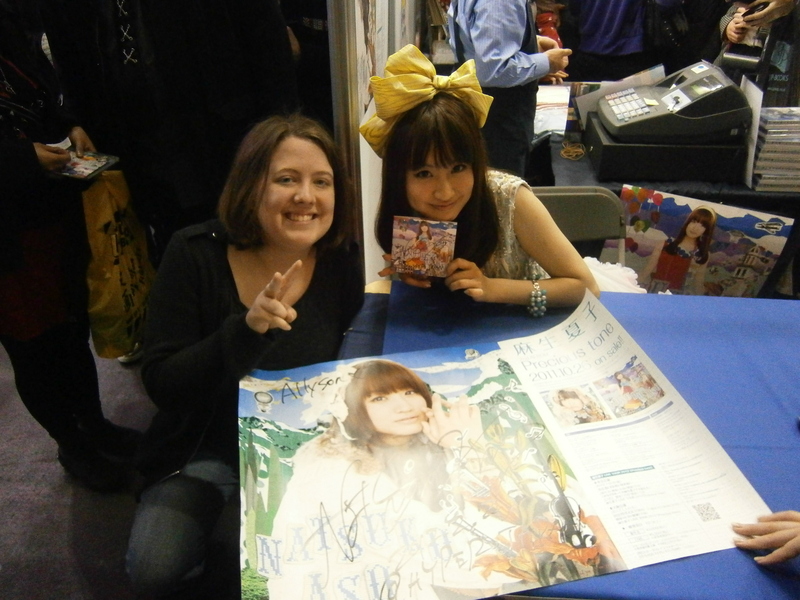 ); I have switched majors, studied abroad (and met Aso Natsuko! ), I joined Intl Wota, moved my blog here, went from Intl Wota to Idolminded, and now I’m looking to the future, with graduation looming and the eventual move to the workforce (hopefully in media). Ray posted an excellent post on Idolminded about becoming a better blogger, which got me to thinking. While I’ve done a lot on Happy Disco, there’s a lot of ways where I could personally improve to make the blog a lot better. So, to do this, the first step is to make this a lot more of a regular blog than my occasional sounding board for idol ideas. Starting immediately, Happy Disco is going to have regular posts every Monday, Wednesday and Friday (though this is only my bare minimum). They may not be long posts necessarily, but this will ensure I keep putting up content here. I think ultimately I work a lot better with some structure. In addition, I’m going to be resurrecting my review series of albums from artists I’m less familiar with, and posting those every Friday. I’m also thinking of starting a PV feature/review series for Mondays, to use my film studies background (also I have a ton to say about whoever does the lighting for Morning Musume PVs). Ultimately, I want to keep the feel of Happy Disco with a more set schedule. If you have any suggestions of what you’d like to see from me in the future, let me know! When deciding to make a top songs list, I initially thought I’d do 10. Then it expanded to 25, and I had even more songs I wanted to discuss. These are songs that might not necessarily be perfect, but for various reasons I wanted to discuss here, in no particular order. Berryz Koubou and I have an interesting, slightly complicated relationship. They were the first idol group I ever knew (Gag 100kaibun Aishite Kudasai was my first idol song) so I have a bit of a fondness for them. However, lately I’ve been disappointed with their releases, and it’s hard to remember the last time I actually really liked a Berryz song; it might go as far back as Otakebi Boy Wao or Dakishimete Dakishimete. That being said, I really enjoyed Cha Cha Sing; it’s energetic and fun, but still feels like a Berryz song due to the arrangement. With Cha Cha Sing and Dschinghis Khan, I find it interesting how much Berryz excels at covers. OK yep I’m going to be the Nogizaka46 defender of the year. While I love B-sides like House and Guru Guru Curtain grew on me, Oide Shampoo was the song that made me like the group. This isn’t mind-blowing, but it’s very pleasant and hits a lot of my personal buttons (piano, string sounds, classic idol feel). There’s definitely room in the idolsphere for Nogizaka46, and while it might not be everyone’s type of music, it’s definitely my type. Science girl Silent Boy – Kagaku Kyumei Kiko Logica? I like Sakura Gakuin well enough; they’re a solid idol group with younger members (every member graduates from the group once they hit high school), and have some really catchy stuff. However, the subgroups are where Sakura Gakuin really shines. BABYMETAL hails from Sakura Gakuin, Twinkle Stars was a great group, and now Kagaku Kyumei Kiko Logica?. They’re the “science club” (kagaku-bu) and their song Science Girl Silent Boy is just good. It’s not the catchiest song but it’s definitely a great debut. The song reminds me slightly of Perfume music, and it’s mid-tempo and memorable. While it didn’t quite qualify for the top 25 (though I know people who would have put it top 10), I still loved it. I’m a bit of a weirdo, in that I legitimately liked every AKB48 main single track this year: Give Me five, Gingham Check, UZA, Eien Pressure But Manatsu no Sounds Good stood out to me as my favorite piece. It initially took a while to grow on me, but it’s the most interesting of AKB’s summer songs, choosing to be more mature sounding than in past years. For me, though, its ending is what really shines, sounding triumphant and exciting. This is the type of song that appeals mainly to me as a Milky fan and I don’t know how many non-Milky fans would like it. It just fits Milky perfectly and is a fun thing to listen to. I only heard of CQC’s this year due to the Tokyo Idol Festival, but their song Fuwa Fuwa Precious had a big effect on me. It reminds me of Morning Musume/Hello!Project around 2000 with a strong disco sound. While I put Rhymeberry high up on my list and BABYMETAL was still an indie act in 2012, but CQC’s really impressed me with Fuwa Fuwa Precious and made me interested to hear more from them. This is kind of my dream unit in Hello!Project. Take my two favorite members of C-ute, my two favorite members of Berryz Koubou and my 2nd favorite current member of Morning Musume, and you got DIY. That being said, this song is energetic, fun, and kind of a cool appeal. It’s a very unique sounding song, and one I really enjoyed. While I’m still apathetic to most of current Hello!Project, recently I’ve become a pretty big Ishida Ayumi fan, and Fukumura Mizuki’s become my favorite 9th gen Morning Musume member. This song reminds me a bit of Shiroi Tokyo, and while it’s not necessarily unique or the best it reminds me a bit of that era of Hello!Project. OK so I didn’t want to put too much Team Syachihoko on my list for fear of being kind of obnoxious about it. Because really, all their songs are excellent examples of the idol genre. However, Matsu wa DD Daikangei has a place in my heart and was one of my most repeated songs of the past couple of months. C-ute is kind of the last group I expected to do one of my favorite idol ballads of the past year, but they did. I’m not a ballad person, but this was a really excellent song. Like Hatsukoi Cider they had solo versions, which also added to my enjoyment; I could just listen to Maimi! Like I mentioned on my first list, this was a toughie. There are a lot of songs I didn’t feel I could put on here but I enjoyed a lot. 2012 was a fantastic year, and I hope 2013 follows suit! While this is the last five songs on my top 25, there will be an honorable mentions post and a top 10 PVs of 2012 list soon, so keep an eye out for those! This was the year Maeyamada Kenichi was at his strongest. While I’ve enjoyed his compositions for some time and my favorite solo piece of his came out a while ago (Hyadain no Kakakatakaomoi-c), this was the year he became known beyond the people who knew him for anime openings or the Momoiro Clover wota. He’s becoming a force in the Japanese music world, beyond his niche, and 20112012 exemplifies his strength asa composer as a whole. While the song has many of the features that are classic Hyadain to his fans (the use of his voice as both male and female vocals, the video game sounds as a callback to his start), this sounds a lot more mature than Hyadain in the past. While Hyadain has been known for genre-bending and his very unique and odd instrumentals, this song is almost strange in how little gimmicks he uses. Yet, the song sounds great and really works, showing that behind the little oddities that make Hyadain well known there’s a really strong composer. The rap sections done by famous rapper m-flo fit really well and show that he can really collaborate well with a more “mature” artist. While this isn’t as immediately enticing as some of Hyadain’s other works, it really shows off his chops as a songwriter and it makes me excited for more. After reading up the English language response to Nogizaka46, I think I might need to become the wota blogging Nogizaka super fan to balance things out. I understand to an extent why some people don’t like Nogizaka46, but to me they’re a consistently good group. While they aren’t necessarily the most inventive group nor the most daring, I really enjoy their classic idol appeal. As a fan of the classic idol aesthetic, having a group that really is trying to fit it appeals to me. That being said, none of their songs even held a candle to how impressed I was with Hashire Bicycle. Remember how I said I liked a piano heavy arrangement? Well this comes up here. The song has a lovely arrangement with lots of piano, and the song is full of beautiful harmonies. It’s retro and classic idols at their finest, drawing inspiration from French pop (including some spoken bits actually in French!). I also like the lyrics well enough; maybe not the best of this list, but still really great; my favorite line is the first, ‘yuujou to renai wa dou chigau’ (How different is close friendship and romance?’). It’s a surprisingly interesting song that I’ve greatly enjoyed all year. I love Babymetal. 2012 started off very strong for Babymetal with the incredible Ii Ne! single, but Headbanger really stole the show (note: Ijime Dame Zettai, the first release of 2013 for Babymetal, is even better). Headbanger is by far their most metal song, which is definitely to Babymetal’s advantage. Doki Doki Morning was good, but the chorus was still extremely idol-y with some heavier instrumentation. Ii Ne! had a lot more of a metal flavor, but the rap verse and chorus still don’t quite feel like metal music. Headbanger is a step in the right direction that shows just how strong Babymetal can be, and that the metal image isn’t a gimmick, but a tool for some really fantastic performances and songs. This song is high energy and interesting, with every “HEADBANGER!! !” scream giving me chills. The slow start is a really great way to bring up the tension when the faster section starts, and it’s an absolute joy to listen to. While Yui and Moa take a backseat to Suzuka’s vocals, Suzuka’s never sounded better (again, until Ijime Dame Zettai). This is a fantastic song that really shows Babymetal’s strength. I haven’t held back on my disappointment with Momoiro Clover Z’s Otome Sensou. Which I realize is a little bit unfair; it’s not that bad. However, I think my disappointment stems from just how much potential it had when I heard small bits of the song (watching the PV via ustream with spotty internet at the time) and seeing the costumes. Parts of Otome Sensou are great, and I was convinced that if Otome Sensou could live up to the really strong potential it had for it. Otome Juken Sensou lived up to it. This was a special limited single where the titles of the songs were based off other Stardust songs, and while I’m fond of the other song Mochotto Hashire (after Momoiro Clover’s Hashire and Shiritsu Ebisu Chuugaku’s Motto Hashire), Otome Juken Sensou was special in how it lived up to all the potential of Otome Sensou. From the opening shouts of “ganbatte ganbatte” by Honoka to shouting SYA CHI HO KO, to the fast paced energy of the rest of the song. This song fits a lot more and is one of the songs with the most pure energy and excitement. It rightly sounds like it should be a theme to some big epic, combining the ideas of Otome Sensou with the epic feel and overall polish of Momoiro Clover Z’s Mugen no Ai. This song is just plain epic and perfect. When coming up with this list, I went back and forth over Otome Juken Sensou being #1 or #2; however, ultimately, I think that Koibito wa Sniper is going to have a lot more significance to Team Syachihoko as a whole. This was Team Syachihoko’s first indie single, and while a lot of groups have a bit of a slower start for their singles (I love AKB48’s Sakura no Hanabiratachi and Momoiro Clover’s Momoiro Punch, but they’re not the most exciting songs). This feels akin to Ikuze Kaitou Shoujo, in that Koibito wa Sniper feels group defining to Team Syachihoko. This is fast, high energy and just flat out fun, with the “HAs” and all the mentions of Team Syachihoko. The instrumentation is fantastic, as well, with lots of great brass sound. Ultimately this is the most exciting song of the year, the song that got me interested in my current favorite idol group, and is incredibly polished while remaining fun. This is quite possibly a perfect idol song, and will remain one of my lasting favorites for years to come. While working on Tokyo Idol Festival coverage was fun and I found a lot of groups, probably the group that stuck with me the most was Rhymeberry. They’re a rap subgroup of Usa Usa Shoujo Cllub, and much like Babymetal really sets itself apart from its main group. Their debut single came out this year (though they’ve performed these songs for a while) and while I enjoyed Rhymeberry iz No. 1 possibly more than the title track, Hey! Brother really is more of a complete song. While some idols rap in their songs, this is full on rapping and is kind of what you’d expect from the words “idol rap.” The song’s about their big brother and involves meowing. However, despite these idol elements, the thing that sets Rhymeberry and Hey! Brother apart is just how good they are. Most raps in idol songs are short and idols tend to not be great at rapping. Rhymeberry is just flat out good at what they do and this makes Hey! Brother very good to listen to and a really fun song. I’m not a big hip hop fan myself, but Rhymeberry transcends this and is an enjoyable listen. 9. Hatsukoi Cider – Buono! Just as a piece of context Buono is not my type of group. I’m not a big fan of Buono and I haven’t followed them much since their early singles. However, Hatsukoi Cider transcends my preconceptions and just ends up being REALLY good and one of my favorite songs of this year. The melody’s beautiful and just sounds sweet. The arrangement is great, as well; my biggest complaint with a lot of Hello!Project songs is that the instrumental sounds kind of empty and hollow, but this is the opposite of that. The band sound with heavy keyboard is just perfect for Hatsukoi Cider. It doesn’t sound cheap or fake, but is just wonderful sounding. Further, Hatsukoi Cider has some of my favorite lyrics of the year. Occasionally I’ll listen to an idol song, love it, and then realize later that, once I’ve looked up translated lyrics or been able to use my limited Japanese skills to piece them together, the song isn’t as sweet-sounding as I once thought (this notably happened with C-ute’s Sekaiichi Happy na Onna no Ko; I love the song, but the lyrics do nothing for me). However, here the lyrics are really great, about deciding to take friendship into a more meaningful relationship. It’s sweet, romantic, and I love these lyrics. And finally, H!P did what they should really do with all their smaller groups and made solo versions of the song, though just on the Single V so no actual audio files. My only complaint with the original was that I vastly preferred Airi’s vocals to Miyabi and Momoko’s, and that I would have preferred Hatsukoi Cider to be a solo song as a whole. Hello!Project delivered. I would argue that not only is this Buono’s best song ever, this is the best song to come out of Hello!Project for a good while. While I think 2012 wasn’t quite as good for Momoiro Clover Z music as 2011 (especially considering the completely excellent Battle & Romance that stole 2011 for me, album wise) their first single of the year was fantastic, especially the title track. Written by Maeyamada Kenichi, “Mugen no Ai” is possibly one of the most epic, symphonic idol songs that I’ve heard described as being the Bohemian Rhapsody of JPop. And it deserves it. While I think “epic” tends to be an overused word, it fits here perfectly with a full choir, some of the best idol guitar riffs provided by ex-Megadeth guitarist Marty Friedman, and the overall theatrical tone fit here perfectly. This is the type of song I could see showing how strong pop music can really be. This is weird, but it fits and I believe is one of the things that convinced a lot of people of Momoiro Clover Z’s real strength as an idol group, embracing weirdness. This is a fantastic song. This is not the last time you’ll see Team Syachihoko on this list. Truth be told, I could legitimately put pretty much all of their songs on this list, because they’re all very excellent. However, The Stardust Bowling was the first song that got me interested in Team Syachihoko since it was their first major debut single and their first song with a (very strange) PV. The Stardust Bowling, while I doubt it will be as important to Team Syachihoko as Ikuze! Kaitou Shoujo is to Momoiro Clover (Team Syachihoko’s signature song is still to come on this list), kind of reminds me of Ikuze! Kaitou Shoujo. In fact, the song is structured pretty similarly to Ikuze! Kaitou Shoujo, right down to the slow part before the final repeat of the chorus. However, this isn’t a bad thing at all, and The Stardust Bowling really does stand out as a great idol song. It’s high energy, fun, wacky, and despite comparisons really stands out on its own. With Stardust idols, the major debut single song does a lot to say what kind of group the group’s going to be, and The Stardust Bowling only says good things. Team Syachihoko’s still slightly weak in the vocals department and they’re not completely polished, but that’s part of the charm of he group and strong songs like The Stardust Bowling only make me more excited for Team Syachihoko to improve and get better. An excellent major debut and an excellent song in general. When I first heard Mugen no Ai I was immediately in love with the song and convinced that nothing could beat it. Until I heard one of the other songs on the single, which is DNA Kyoshikyoku (DNA Rhapsody). DNA Rhapsody is similarly epic sounding like Mugen no Ai is, however instead of being the guitar-heavy operatic sound that Mugen no Ai has, DNA Rhaspsody is a bit more symphonic and the whole arrangement is orchestral. I’m a sucker for strong strings in a piece as well as piano heavy arrangements, and this combines both of them. This is one of the most simultaneously beautiful and extravagant sounding songs while still feeling very Momoiro Clover Z. Momoiro CLover Z’s music, at its very best, is music that you’ve never heard before. To some it’s weird, and yeah it’s strange, but I can’t say I’ve heard songs quite like DNA Rhapsody and Mugen no Ai, at least within JPop before. This transcends idol pop and is one of the most interesting songs I’ve heard lately, period.